ISP or Internet Service Provider is a commercial structure or a organization that provides users at the supply contract, the provision of Internet. With the explosion of the Internet in early 2000 the market has gone from small ISPs that worked with banks of modems to operators of large telecommunications. Several ISP?have been restructured or acquired by bigger ones. Today the majority of telecommunication operators and ISPs are also provide, in addition to Internet access and maintenance services such as registration of domain and hosting of web pages . ISP or?Internet Service Providers typically buy network equipment ( switches, etc.) from their respective manufacturers and build the transportation network in the optical fiber by using capital and its bank loans by following a careful economic planning and relying on often as possible to network infrastructure existing to minimize costs. For the access network but often apply the directives of Local Loop Unbundling or the opening of the ‘ last mile network belonging to the dominant operator if ISP have failed to self-realization. Often also the network management on a technical level (maintenance and faults) is required by outsourcing to other companies concerned. Dialup connections require the use of an analog telephone line or ISDN . Broadband connections can be wireless , Cable, or DSL . Broadband connections can be faster but also more expensive. It is now possible to establish an analogue or ISDN without specifying username or password or by entering the standard parameters. 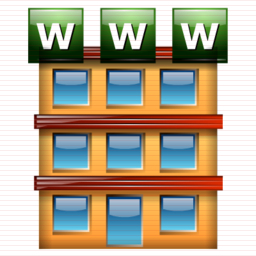 One of the main services is to register domain names DNS . The authoritative bodies defines the name server for a domain name. The DNS, in turn, provides the details for the other servers associated with that domain, typically the ‘ IP address of the web server , the name of the mail server and possibly a record SPF . The ISP provides the name registration is thus in a position to suggest which ISPs provide other services. ISPs that do not include traffic from the client to the server (upstream) and have only customers and / or anonymous nodes, are called Tier 1 network , to indicate the top in the Internet category. There are several associations of ISPs. Tenders or types of services and taxable costs of the various ISPs differ depending on these two categories of users. Moreover all the ISP are controlled under regulations of the telecom department and their laws of that country. This article on ISP : Internet Service Providers is written by Mr. Kanai Lal Saha, who has been regularly writing excellent articles on core computing, Virtualization and Cloud Computing. This Article Has Been Shared 2195 Times! Cite this article as: Abhishek Ghosh, "ISP : Internet Service Providers," in The Customize Windows, December 7, 2011, April 21, 2019, https://thecustomizewindows.com/2011/12/isp-internet-service-providers/.